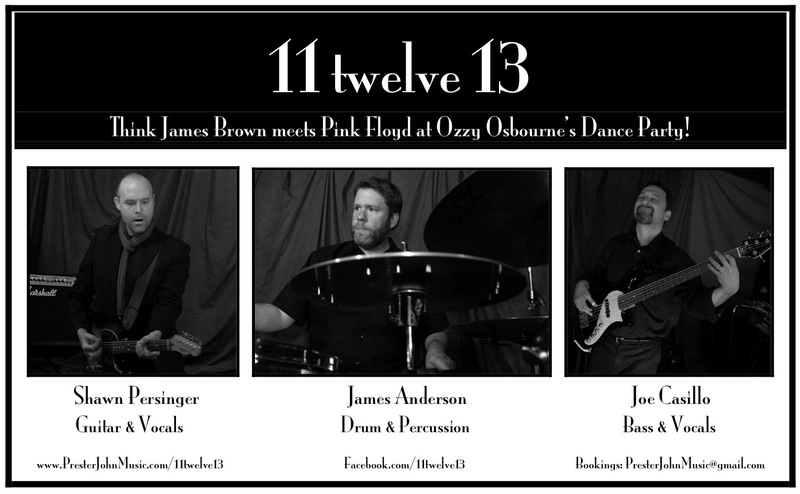 Described as “James Brown meets Pink Floyd at an Ozzy Osbourne Dance Party” 11twelve13 feature the unique talents of James Anderson on drums, Joe Casillo on bass, and Shawn Persinger (a.k.a. Prester John) on guitar, vocals, and effects. 11twelve13 provide funky takes on classic rock tunes. More accurately 11twelve13 deliver familiar yet surprising, smart and sophisticated dance music. “We’re an evolving dance band for the 21st Century,” states Persinger, whose guitar playing in 11twelve13 is a rare combination of psychedelic soundscapes, hip rhythm, and tasteful guitar pyrotechnics – think Randy Rhoads using Andy Summers’ pedal board! Anchoring Persinger’s guitar explorations with a tight, funky groove, drummer Anderson doesn’t mind modifying his traditional analog drum kit with “found sounds,” providing head-turning tones and textures usually associated with high-tech drum machines and samplers. Providing the low end, bassist Casillo is the foundation upon which all rock is funked – solid throughout and virtuosic when called for. For an audience eager to dance, tap their feet, have their brains twisted, faces melted or just sit and stare 11twelve13 bestow the goods. 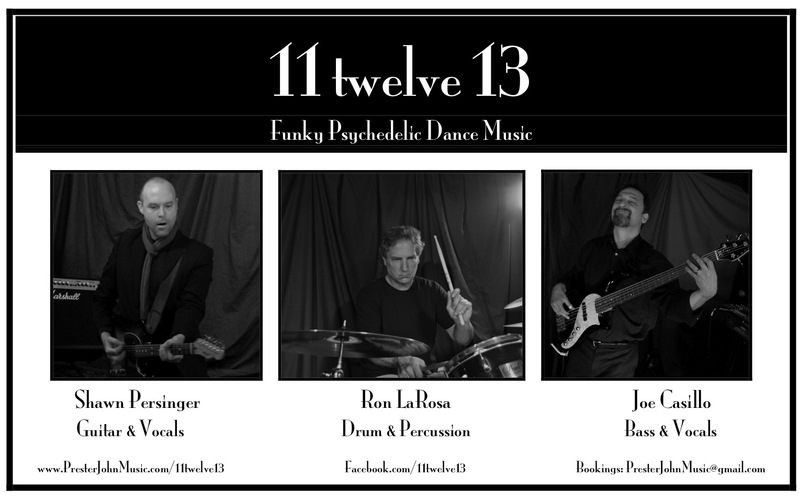 Featuring three of Connecticut’s finest musicians 11twelve13 is the band you’ve been waiting for.